Lily sunshine! Send this sunny arrangement full of thoughts to someone to brighten their day. 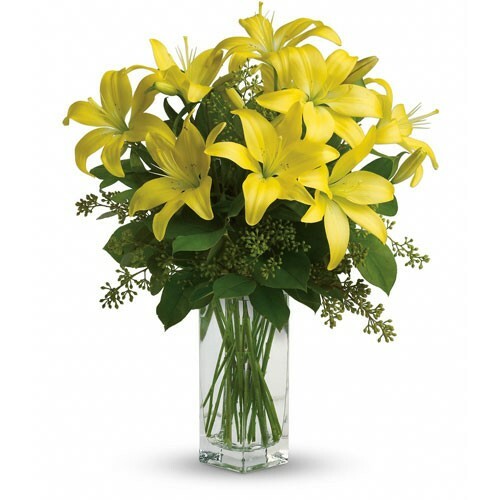 Rich greenery centered with affectionate yellow lilies, send this arrangement to a friend or to confirm a commitment. A perfect selection for those who like single flower arrangements.